Last week one of the worst keep secrets as of late was confirmed when it was finally made official that Batman: Return to Arkham was coming to PS4 and Xbox one in July. 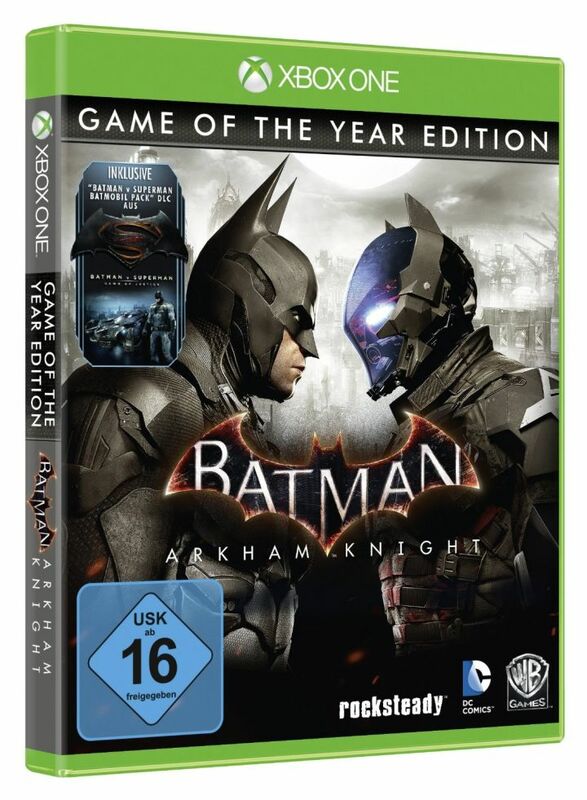 Now, at least according to a listing from Amazon Germany, that may not be the only Arkham game coming to stores in that month. Outed on the retailer was a listing for a Game of the Year edition for last year’s Batman: Arkham Knight for both PS4 and Xbox One. Given that both Arkham Asylum and City had similar collections released, it comes as little surprise that WB Games would also be giving Batman: Arkham Knight a similar treatment, especially given how much post release content the game had that can be squeezed onto the disc. Right now this is only rumor as WB Games has yet to make it official, but I wouldn’t be surprised to see it come in July or a little later in the year.